The cover story in the latest issue of Weld for Birmingham, one of my city's weekly newspapers, examines 10 provocative quotes about my hometown. 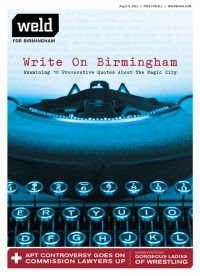 The piece is called Write On Birmingham and I picked up the paper with this plan to read the quotes and then pen some compelling piece of my own about the Magic City and post it here. But that didn't happen. There’s no place like Birmingham in my heart. I love Birmingham, and not just because some of my blood was spilled in its streets. I love it because it’s a place where we can look out and see where we’ve come from and how far God has brought us. After being away for about 10 years, I returned to Birmingham in 2009. When people ask me if I like being back home I'm honest: "No. But I want to." And I do. I really, really want to fall in love with Birmingham. But it feels like I'm in a relationship with some guy who keeps cheating on me, who keeps breaking my heart and I keep giving him chance after chance. 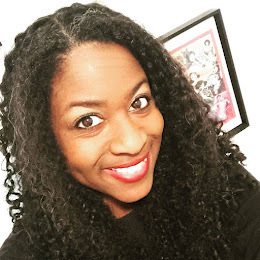 As we all do in rocky relationships that we want to salvage, I try to focus on the good things -- the wonderful performing arts school at which I have the honor to teach, my favorite coffee shops and restaurants, my church, the supportive community of women writers I've discovered through See Jane Write, Black Girls RUN! Birmingham. But not even all of this is enough to drown out the sexist, racist, homophobic, xenophobic voices screaming in my ears. This city's extreme colorism even has me feeling like an ugly duckling. Nevertheless, I'm going to stick around. 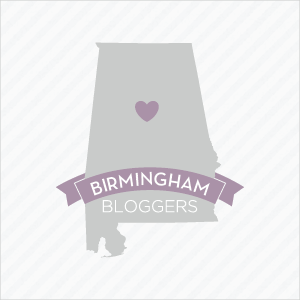 Birmingham has scars and scabs but has made progress. It is a place where we can see how far we've come as a nation. And Birmingham motivates me to use my writing as activism because it is also a reminder that we still have a long way to go. Javacia, I would love to talk to you about this sometime! I am fascinated by the statement, "But not even all of this is enough to drown out the sexist, racist, homophobic, xenophobic voices screaming in my ears." Being a white, hetero person in Birmingham, I can't conceive of hearing those voices here (or anywhere, I suppose). One of my closest friends is black, and we talk about racial issues often ... but it's an issue close to my heart, and I would love to just sit and listen to you expound on your experiences and just ... I don't know, teach me how I can help combat racism here. For anyone of any race, creed, sexual preference ... to feel unwelcome or hated here just breaks my heart. Katherine, thanks for stopping by and for your heartfelt comment. Ironically, most of the racism I witness is from my own community -- black friends and family members who, because of the city's dark history, have this distrust of white residents. That's not to say I haven't been subject to the prejudices of whites in Birmingham. I certainly have, but it's not the blatant racism faced by my parents or their parents. It's much more subtle. Because I'm a heterosexual female I don't encounter homophobia the way the GLBTQ community does, obviously, but I am an ally and I'm also a Christian and when those two worlds collide it's never pretty. To be honest, the thing that's been most difficult, the thing I constantly face is colorism. But that's another blog post. "This city's extreme colorism even has me feeling like an ugly duckling." Oh no, not you! Really? Ugh! I hate that this issue continues well into the 21st century, but I'm also stumped as to what to do about it. Internalized racism is hard to combat, just as any other hatred is. AS we are writing things for the birmingham then we know our capabilities. try this website for getting our better corporate profile service as like you have wanted to. this is the place where you can really know about the writing things . In this useful site http://www.paraphrasegenerator.biz/about-us/ you see the paraphrase generation tools for free. At grammar school you will have everything possible and you can really do your course by own choice. Click here https://www.waiverletter.net/what-you-should-know-to-write-mcat-waiver-letter/ to get sat waiver letter service.